I would like to thank the publishers for a copy of this book in return for an honest review. After his beloved wife's death, the composer Harry Fox-Talbot is unable to write a single note, until one day he discovers his troublesome young grandson is a piano prodigy. As the music returns, Fox is compelled to re-engage with life - and, ultimately, to confront an old and bitter rift. One with its roots in 1946, when he gave up his dreams of a musical career to help save the family home from ruin; and when he fell for his brother's girlfriend, the celebrated wartime singer, Edie Rose. This is the entrancing tale of a man whose passion for music, an elusive woman and the English landscapes of his youth are inextricably intertwined. A man who finally finds joy in the wake of grief, and learns that it is never too late to seek forgiveness. I must admit that prior to receiving this book from the publisher, I had no knowledge of Natasha Solomons or her work. It is only very recently that I have delved into the world of historical fiction and as it is still quite new to me, I had no idea what to expect from this book. I was absolutely blown away by this utterly beautiful tale. The book begins after the second world war and takes us up to June 2007. The story is told from the point of view of Harry Fox-Talbot. When we meet this character first, he is a bitter old man who cares about no one but himself. I think that the transitions we see of this character from bitter old man to the man he turns into at the end of the book is what gives this book it's sparkle. I love the way that this book moves through time. The transitions between the time frames are effortless and I loved seeing the contrast between the man that Harry was in his early 20's and the man that he is now, in his 70's. This story is so real and could have taken place anywhere in the world in reality. Even though I adored the character of Harry, it was Edie who stole the show for me. Music is something that everybody can relate to and I think that is because of this that The Song Collector shines as much as it does. It is something that everyone can relate to and I believe that anyone that picks up this book will fall in love with this timeless beautiful story. This novel is different to anything I have ever read in the past and I doubt that I will ever read anything like this again for a very long time. 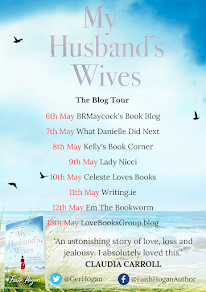 It is utterly unputdownable and Natasha Solomons is one of the most beautifully talented storytellers that I have ever had the pleasure to come across. 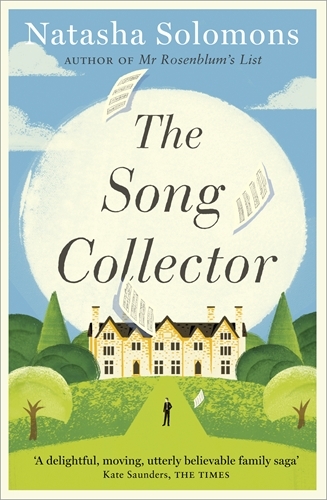 The Song Collector is a must read and no one who picks up this book will regret it.